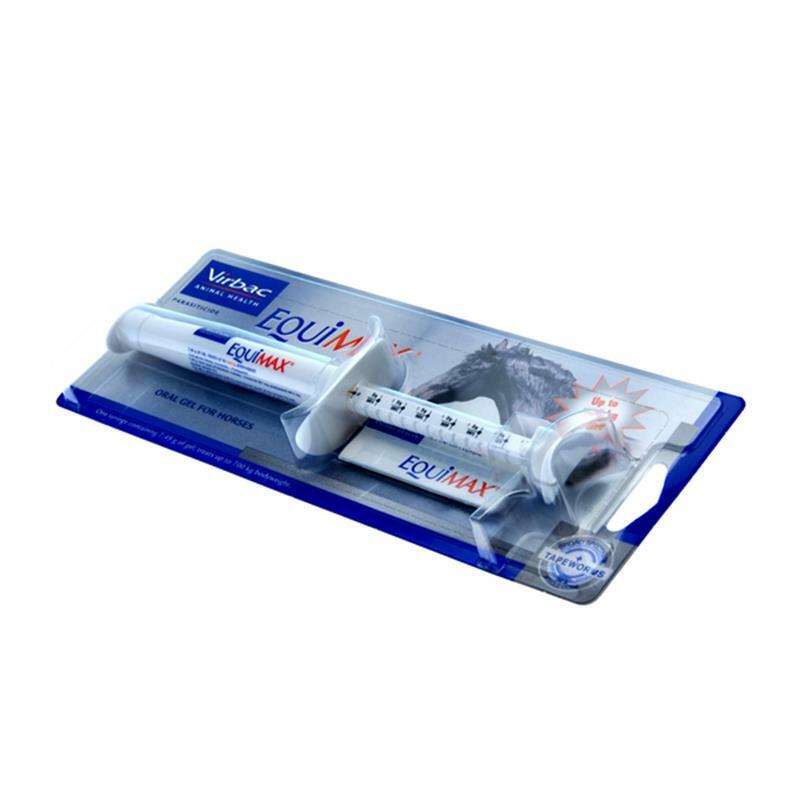 Equimax horse wormer contains ivermectin for routine worm control and praziquantel one of the world's most effective tapeworm treatments. Ideally Equimax horse wormer should be used at the beginning and end of the grazing season to provide maximum control against roundworms, tapeworms and bots in the spring and autumn ensuring your horse starts and ends the year as free as possible from worm infection. Each syringe is uniquely designed for ease of use and will treat up to 700 Kg bodyweight. As it only requires one dose of Equimax to control tapeworms double dosing is a thing of the past thus making tapeworm control more cost effective and user friendly.